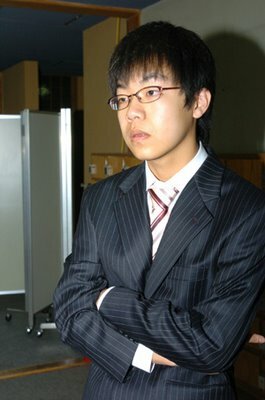 An interview with Han Sanghoon, 1-dan, the first 1-dan in Go history, who entered the final match of the World Go Championship (LG cup). De toda la entrevista que le hacen en "World Go News"
What are your weakest and strongest parts in Go? I am weak at the opening, but I feel myself confident in middlegame fights. Usually I try to defend my groups solidly, before fighting.